Air commodore (abbreviated as Air Cdre in the RAF, IAF and PAF; AIRCDRE in the RNZAF and RAAF) is a one-star rank and the most junior general rank of the air-officer which originated in and continues to be used by the Royal Air Force. The rank is also used by the air forces of many countries which have historical British influence such as Bangladesh, and it is sometimes used as the English translation of an equivalent rank in countries which have a non-English air force-specific rank structure. The name of the rank is always the full phrase and is never shortened to Commodore, which is a rank in various naval forces. 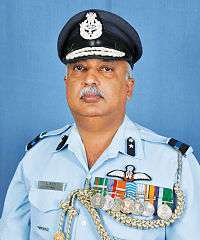 The rank of air commodore is also used in a number of the air forces in the Commonwealth, including the Bangladesh Air Force, Ghana Air Force, Indian Air Force, Pakistan Air Force, Royal Australian Air Force, Royal Malaysian Air Force, Royal New Zealand Air Force and Sri Lanka Air Force. 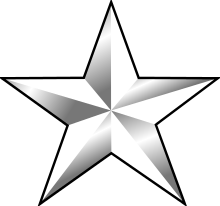 A RNZAF air commodore's rank insignia. A IAF air commodore's rank insignia. In non-Commonwealth countries, it is also used in the Egyptian Air Force, Hellenic Air Force, Royal Air Force of Oman, the Royal Thai Air Force and the Air Force of Zimbabwe. In the Indonesian Air Force the equivalent rank is Marsekal Pertama (literally "First Marshal") which is usually translated as air commodore in English. The rank Komodor Udara (literally means Air Commodore) was used until 1973. The Hellenic Air Force uses the rank of taxiarchos tis aeroporias (literally meaning he who orders the air force or less literally as air force brigadier) which is normally rendered as air commodore in English and was introduced in the early 1940s when the Greek armed forces were reconstituted along British lines while in exile in the Middle East. The Royal Netherlands Air Force's equivalent rank is commodore which has essentially the same rank insignia. The Chilean Air Force equivalent rank is comodoro which has same rank insignia on the sleeve. A PAF air commodore's rank insignia. An HAF taxiarchos rank insignia. A RNAF commodore's rank insignia. A CAF comodoro rank insignia. ↑ "Ranks and Badges of the Royal Air Force". Royal Air Force. 2007. Archived from the original on 14 December 2007. Retrieved 1 December 2007. 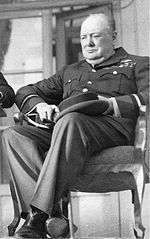 ↑ "Questions Answered: Winston Churchill in uniform and Ralph or Rafe". The Times. 13 September 2008. Retrieved 14 June 2010. ↑ "New Royal Air Force honorary appointments". The Official Website of the British Monarchy. 2 October 2008. Retrieved 30 December 2011.